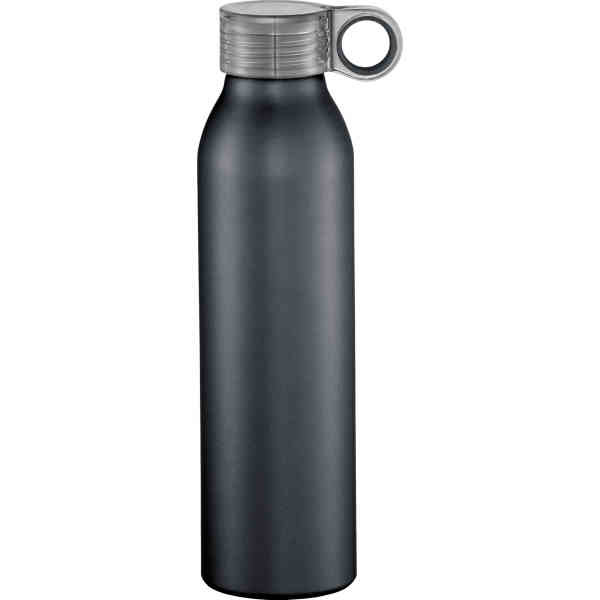 Imprint Method: UNIMPRINTED - The Grom 22oz Aluminum Sports Bottle features single wall construction with a screw-on, spill-resistant clear lid with color pop feature on the hook. Easy to carry, it comes in a matte, metallic color finish. Hand wash only and follow any included care guidelines. Size: 8.7 " x 2.85 "